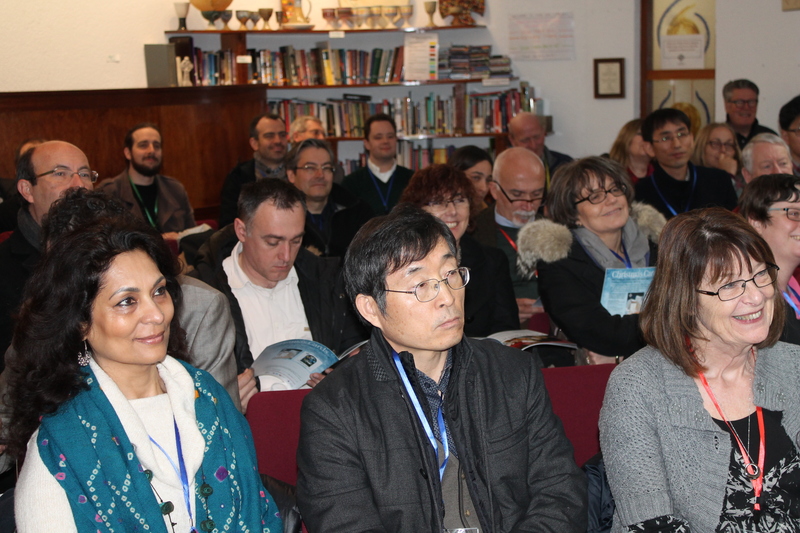 During the 23rd Annual Conference “Reimagining Remembrance” (19-24 March 2016), participants from around 30 countries gathered in Belfast to learn and discuss about the role of history education and commemoration in creating a more peaceful society today, and the challenges history educators face when teaching about a difficult past. Especially the topic of the centenary year 2016 (100 years after the Easter Rising and the Battle of the Somme) provided enough discussion material for the speakers and participants to reflect upon concerning history education and remembrance in the specific case of Northern Ireland. The first evening started off with a series of lectures about the history of Belfast and the Northern Irish education system, followed by a welcoming reception for all participants. On 20 March the conference took place in Ulster Museum and consisted of lectures and discussions about the role of commemoration and the role of artists, civil society and museums in dealing with the past. In the afternoon the participants visited the Belfast Murals. This visit made a big impression on everyone, since it took us to the area of Belfast where the impact of the recent past is still most visible. Monday 21 March was the busiest day of the conference. In Queens University participants enjoyed speeches, keynotes and panel discussions about the role of history education and the role of the international community in dealing with a difficult past and its influence on society today, including a speech by Minister of Education John O’Dowd. In the afternoon several participants lead workshops about all kinds of subjects in relation to the topics discussed earlier that day. The evening was finished off with a dinner at Titanic Belfast, where a toast was held to the initiative for a History Teachers’ Association of Northern Ireland. The next day was another exciting day, as the participants got to explore other parts of Northern Ireland a bit more. Separated in two groups we visited the Nerve Centre in Derry and Corrymeela Centre in Ballycastle, two very different but both inspiring organizations which focus on new creative tools for history education and on reconciliation with the past. The day ended with a dinner in the beautiful Belfast Castle, overlooking Belfast. The yearly visit to local schools took place on 23 March, with the addition of also visits to the Council for the Curriculum, Examinations and Assessment, and the Public Records Office. All groups were warmly received by the different educational institutes. In the afternoon another round of workshops took place, followed in the evening by the yearly traditional Pub Quiz! Made by the local Northern Irish organizers, this year was once again a challenge for all participants to test their knowledge! The final day of the conference consisted of the General Assembly, with as one of the highlights the election of 2 new Board Members: Frank van den Akker and Sinead Fitzsimons. The day finished with a round of Discussion Tables, where participants reflected on some interesting topics which had been part of the conference. The last day ended with a Gala Dinner in the beautiful and historic Belfast City Hall. All in all we can look back at a very successful EUROCLIO Annual Conference!